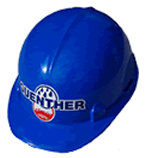 Welcome to Guenther Mechanical, Inc.
We are a family-owned, full-service mechanical contractor that self-performs a wide range of mechanical services for projects throughout north and central Ohio. 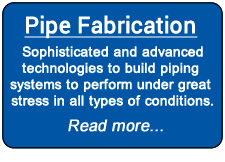 Our professional staff and trades people deliver design, construction, fabrication, and service/maintenance for complex plumbing, piping and HVAC systems. 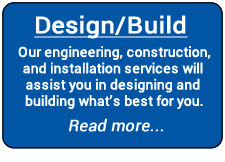 We look forward to working with you on your commercial, industrial or institutional project. 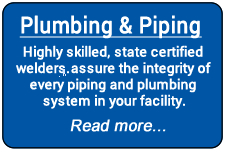 Please call us for a professional estimate or simply to get acquainted. We'd be happy to send you a brochure of our services or to send a representative to your place of business. 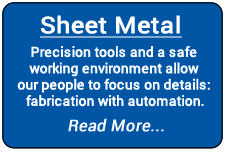 Our mission is to treat our employees, vendors, subcontractors, and clients with respect and work with them as teammates. In so doing, we value quality of workmanship, efficiency, productivity, innovation, safety, equal opportunity and positive attitude. Our goal is to enrich the personal and business lives of our teammates while maintaining our integrity.